With this activity, students build an understanding of selective breeding for desired traits in crops. 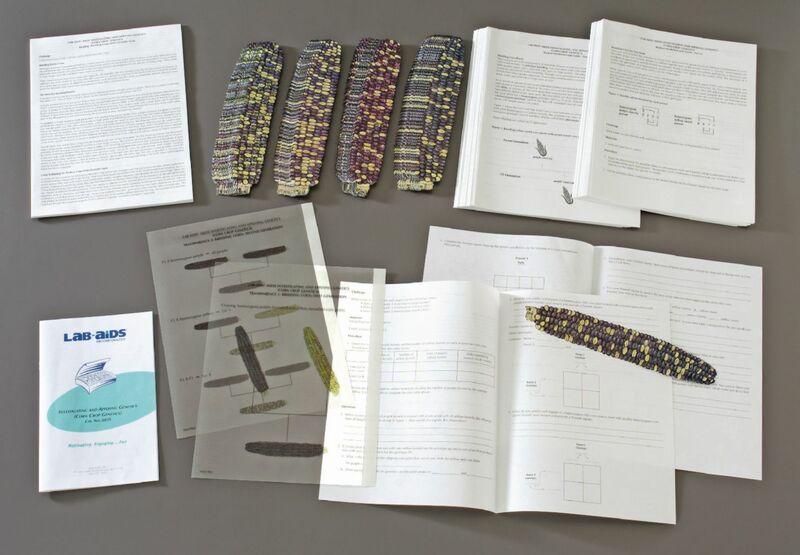 Using life-sized corn ear cardboard replicas, they investigate the outcomes of crosses of hybrid and dihybrid corn plants for two unlinked genetic trait corn kernel color and sweetness. They then use Punnett squares to predict the ratio of phenotypes that will be produced by different crosses and analyze the actual ratio of phenotypes of the second generation offspring. Background information on traditional selective breeding and modern genetic engineering approaches to improving crops is provided. Includes teacher's guide, student worksheets, and materials for 32 students.